Steve Jobs One of the recognized as a charismatic pioneer of the personal computer revolution. Here are Ten Strange Facts About Him . Full name of Steve Jobs (Co-founder and CEO of Apple Inc.) is Steven Paul Jobs. Came in India in the summer of 1974 and stayed here for seven months. Steve Jobs is a college dropout. After leaving Apple in 1985, Jobs founded NeXT Computer (in 1985), with $7 million. 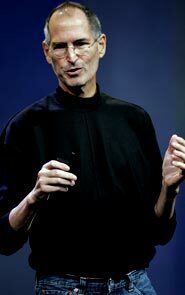 Steve’s salary in Apple as a CEO was $1/Year, 50 cents for attending the meetings and 50 cents for his performance. Steve held 5.426 million Apple shares and Forbes estimated his net wealth at $8.3 billion in 2010. In terms of an inspirational leader, Steve Jobs is really the best I have ever met," said former Microsoft Chairman and Chief Architect, Bill Gates in January 1998 when asked to name the CEO he most admired. 1. Steve dropped out of college after one semester to save his parent’s money. He did drop-in though for 18 months. While dropping in on classes, he slept on the floors of his friends’ places, turned in coke bottles for 5 cents to use the money to eat with, and hiked 7 miles across town once a week to get a decent meal at the Hare Krishna temple in town. 2. He worked with Steve Wozniak for Atari game systems before Apple Computers. They reportedly were paid $5,000 for their work of which he shared $375 with Wozniak. 3. We all probably know that Steve Jobs began Apple Computers, Inc., in 1976 with Steve Wozniak in his parents’ garage. But there was a third member, Ronald Wayne. After two weeks Ronald left for a one time payment of $800 for his share of Apple stock. Reportedly this stock would be worth $22 billion today. 4. Jobs and Wozniak named the company Apple because they were huge Beatles fans. 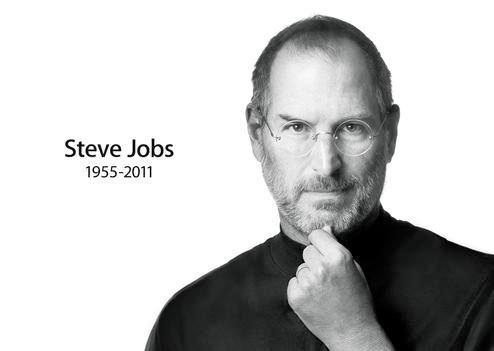 5.Steve had over 300 patents he is indeed a techy guy . 7. He owned over 100 pairs of Levi jeans. 8. Jobs stock in Disney had more value than in Apple, since Steve sold a lot of shares in the 90’s and owned less than 1% at the time of his death. 10. He saw his first computer at age 12.